Congrats to savvy swimmer, Ellie Chalupsky! 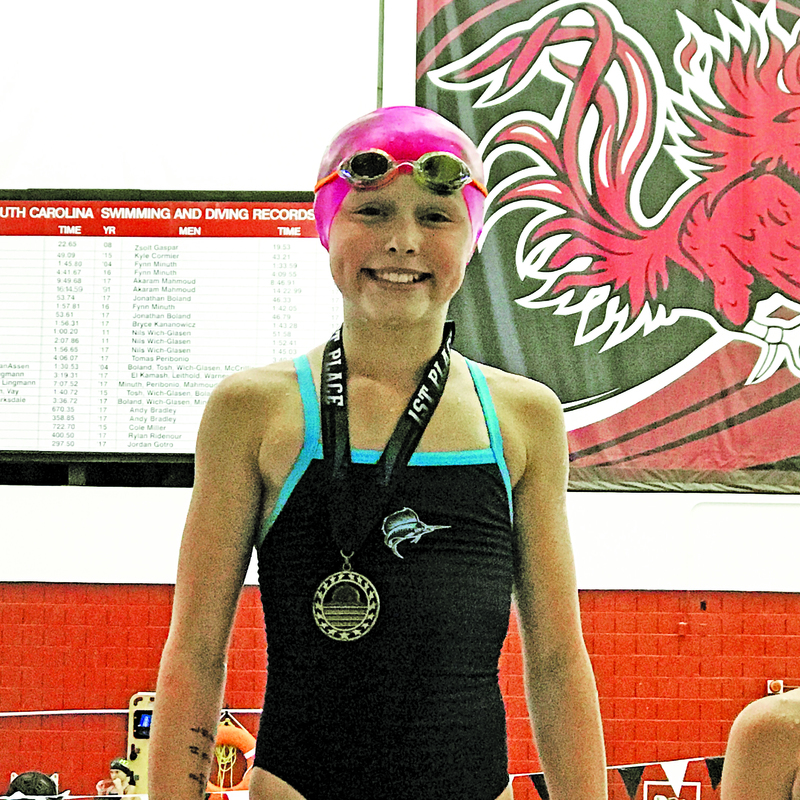 Ellie Chalupsky, a 10-year old Daniel Island resident who swims with Swim Charleston year-round, won the 10/u girls 50 meter butterfly in the South Carolina Long Course State Championships July 28-29 in Columbia, SC. Placing in the top three in six of her eight individual events, Ellie scored 67 points and contributed to a fourth place relay finish in the 200 medley relay!